The equine heart is comprised of four chambers: right atrium, which takes in blood returning from the body depleted of oxygen; the right ventricle, which pumps that blood into the lungs to refill with oxygen via the pulmonary artery; the left atrium, which receives that oxygenated blood; and the left ventricle, which sends that rejuvenated blood out into the body via the aorta. The size of a horse’s heart will vary with the size of the horse, but weighs roughly 1% of the overall body weight. The average horse’s heart weighs 8-10 lbs. and pumps 7 to 10 gallons a minute at rest. For equine athletes during exercise, cardiac output can reach over 65 gallons per minute! The horse’s heart is made up of a unique type of muscle, called the cardiac muscle or myocardium. The myocardium makes up the majority of the cardiac wall and is responsible for its pumping action. It contains a collection of specialized cells, called pacemaker cells, that are located in the right atrium. Pacemaker cells are different than the cells found in muscles used for running (skeletal muscles) and muscles used to do things like intestinal contractions (smooth muscle). These cells have an inherent rhythm and send out an electrical signal that sets the pace for blood pumping and coordinating heart beats. Heart murmur: an abnormal audible sound that occurs during the period of quiet during the cardiac cycle.Murmurs can either be hereditary or develop as the horse ages and are graded on a 6-point scale of loudness; 1 is the least severe, 6 being the most severe. A heart murmur may affect a horse’s performance, but it depends on the severity, location and cause. Cardiac arrythmia: irregular heartbeats characterized by fast or slow heart rate, irregular rhythm, extra sounds, long pauses or abnormal heart sounds. Some health concerns get attributed to the horse’s heart, when they are actually a result of the red blood cells. Conditions such as anemia (low numbers of red blood cells) or low hemoglobin (low amounts of the ironbound protein that helps to transport oxygen) can affect a horse’s performance. The horse’s skeletal muscles (muscles that attach to bone; when contracted, they pull on tendons to flex or extend a joint) require plenty of oxygen to allow a horse to run, jump or slide to his best abilities. Cardiac muscles also require oxygen to function effectively and efficiently. 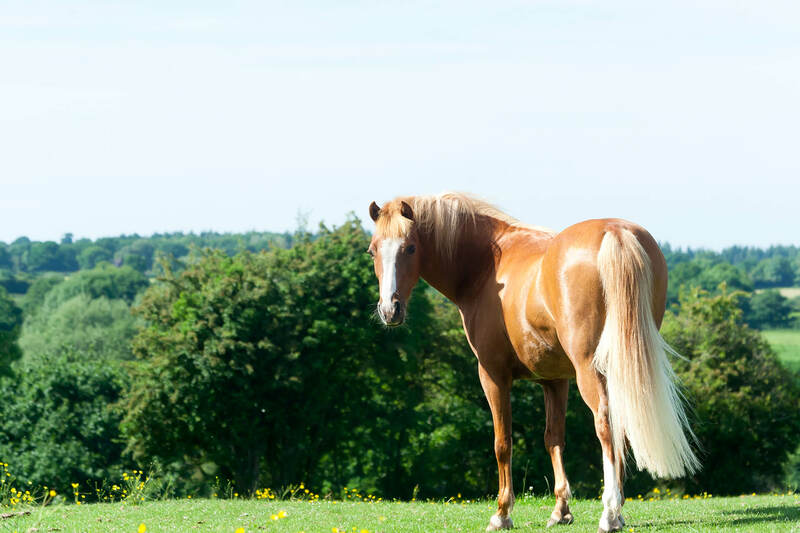 Vitamin-iron-mineral supplements, such as Red Cell® liquid or Red Cell® Pellets, can help to keep a horse physically at the top of his game. Horses that live or are fed forage or grains grown in areas with iron deficient soil may benefit from some iron supplementation. Vitamin B6 and vitamin E may also support horse heart health. When it comes to performance, many equestrians look to their horse’s heart to gauge several factors. Conditioning is often tracked by heart rates and recovery time after intense exercise. Sprinting or using bursts of speed requires different types of cardiac conditioning than long-term exercise, like a 100-mile endurance ride. Your horse’s heart rate, and how quickly he recovers after workouts, will help trainers and veterinarians decide if your horse is fit, and in some cases, if he will be allowed to continue in the competition. You can check your horse’s heart rate via a digital pulse near the hoof, by listening with a stethoscope or feeling for a pulse under the jaw. A normal, resting heart rate for the average adult horse is between 30 to 40 bpm. 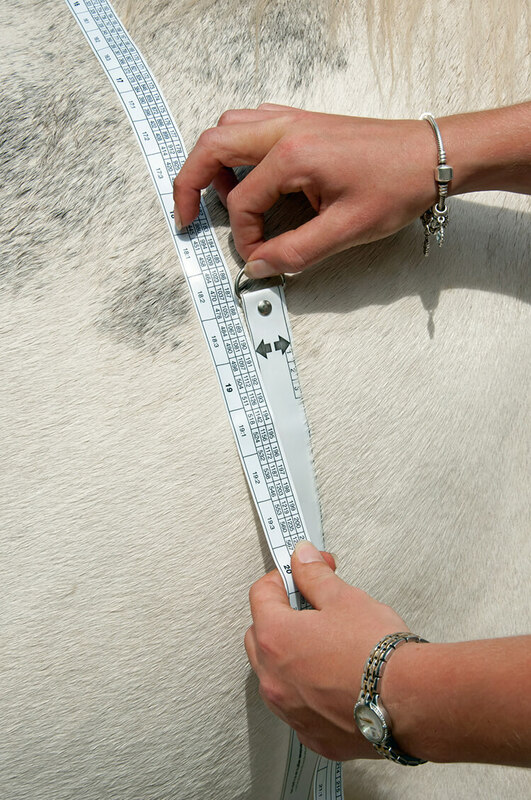 Each horse is an individual and could have a faster or slower heart rate, so it’s a good idea to check your horse occasionally to determine his “normal” range. Red Cell is a registered trademark of Farnam Companies, Inc.